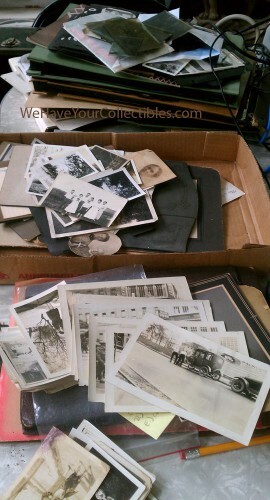 We’ve been busy sorting through the tens of thousands of antique and vintage photographs we have amassed over the years. 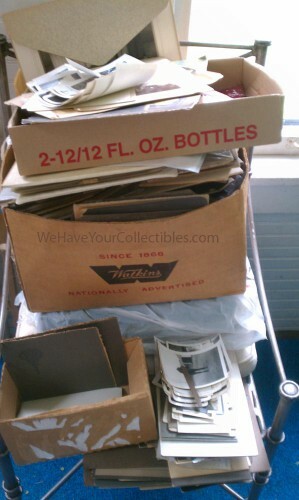 Since we are collectors first, we’re pulling a number of them out for our own collections (and trying to organize them). But we just cannot continue to save (hoard) them all — not properly, anyway. That’s a lot of space and archival materials! So the rest we are going to part with. Some we will placing up for sale in our Etsy shop. (We also have some sets of photos available in our “crafty” Etsy shop partnership for use in collages and other altered arts.) 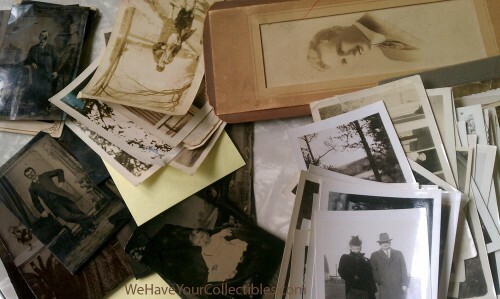 And we are making some of these old images available as products in the Zazzle shop we share with some artsy folks. The sorting, scanning, pricing, organizing, etc. is no simple task. We’ve been doing this for days already and have barely made a dent! In other words, watch this space — and the other spaces we linked to, to see the results as they come in. And if you’re looking for something special, don’t hesitate to ask us!